Maximum enjoyment with minimum of effort!. 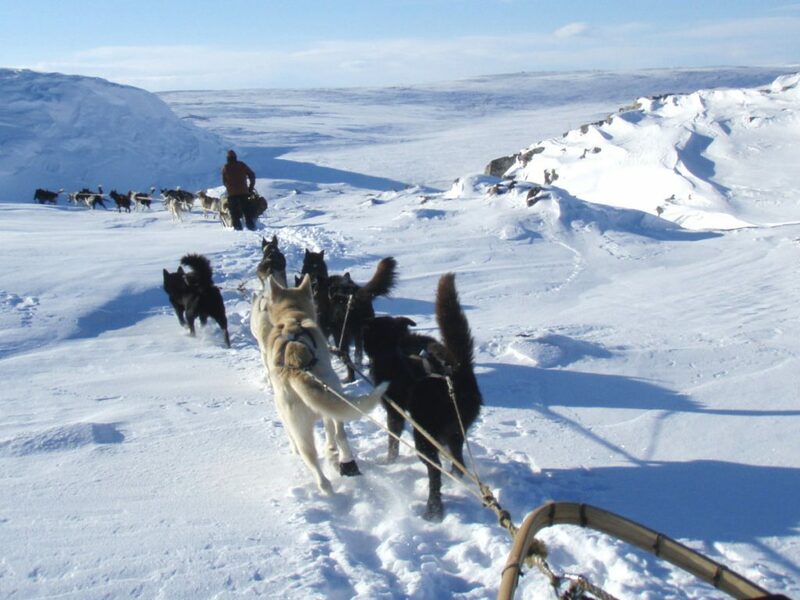 You are welcome to be a participant on Engholm Husky overnight tours even without to drive you own dog sled. This is an offer for those with disabilities or other physical limitations that make it difficult to handle a dog sledge. If it not fit to run your own dog team so you can sit comfortably wrapped in reindeer skin in the guide's sled. or drive a second sled connected behind the guide sled. Close-up nature impressions together with a guide, who likes to share his knowledge about dog mushing and admiration of nature and outdoor-life with you. You will experience the dogs’ speed and stamina to the fullest, because “your” dog team are driving and handled by the experience guide. There is no reason for why you shouldn't get to have the felling of freedom - traveling with a dog-team in a beautiful untouched scenery. We recommend you to consider to stay some extra days for interesting activities as lodge guest before and/or after the tour.